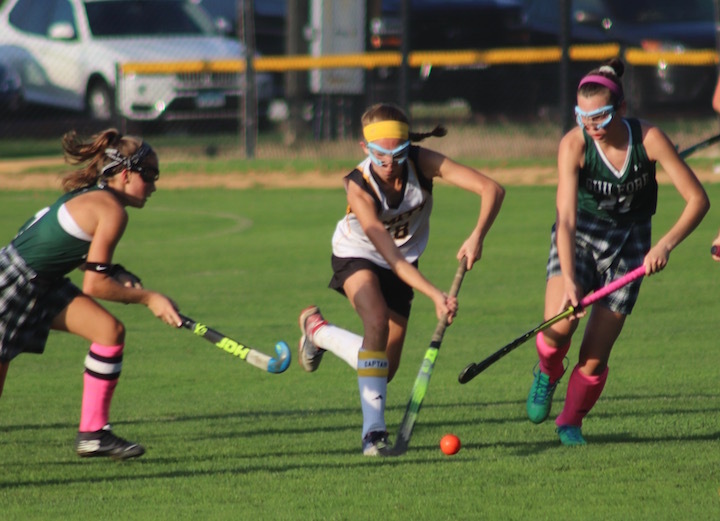 The Amity Lady Spartans Field Hockey team hosted the Daniel Hand Tigers at Amity on Monday. Amity junior Tess Csejka made an unassisted goal in the first half, then Hand’s Jacqui Sandor scored on an assist from Lucy Cutler. The 1-1 tie score held through the second half and into overtime. With no additional points on either side, the game went on the books as a tie. After a very impressive first week of the fall season, the Amity varsity sports schedule for this week is as follows. Boys Soccer vs Fairfield Prep Home at Amity 3:45 p.m.
Field Hockey vs Lauralton Hall Home at Amity 4 p.m. Girls Soccer vs Sheehan Away at Sheehan 4:30 p.m. Girls Volleyball vs Cheshire Away at Cheshire 6:30 p.m. 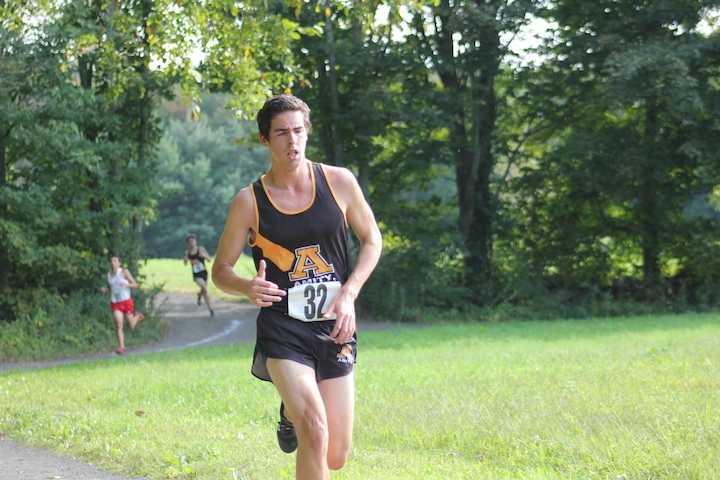 Boys Cross Country vs Notre Dame-West Haven-Lyman Hall-Xavier Away, Hamden Town Park 4 p.m. Girls Cross Country vs Sacred Heart Academy-Lyman Hall-Mercy Away, Sacred Heart Academy 4 p.m. Girls Swimming and Diving vs Hamden Home – Orange Pool 6:30 p.m.
Amity Football team has a conference game vs. Foran Home at 7 p.m. and this night Amity is participating in the Touchdowns Against Cancer fundraiser. Boys Cross Country Suffern Invitational Away at Bear Mountain NY 9 a.m. Girls Cross Country Wilton Invitational Away at Allen’s Meadow 9 a.m. 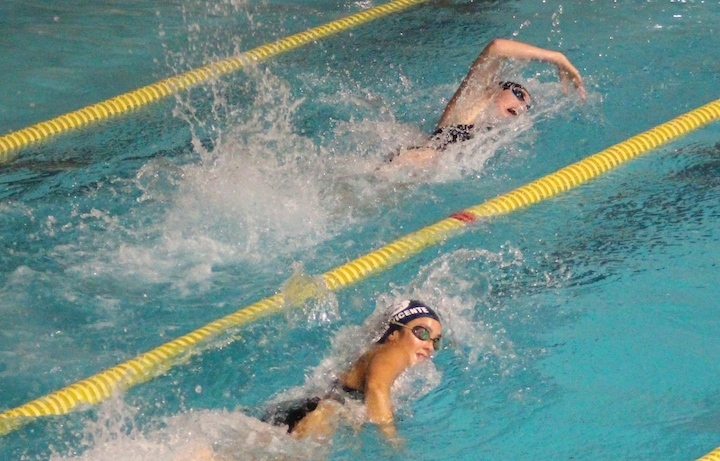 Girls Swimming and Diving vs Conard-Hall-Pomperaug Away in West Hartford 3:30 p.m. NOTE: Football has three more games in November ending on Thanksgiving Day with the big rivalry game against North Haven…this year at HOME. Friday, Nov. 3 Away at Shelton at 7 p.m.
Friday, Nov. 10 Home vs Hamden at 7 p.m.
Thanksgiving, Thursday, Nov. 23 Home vs North Haven at 10 a.m. Boys and Girls Cross Country run through Nov. 11 with the New England Tournament. 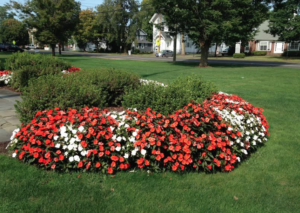 Friday, Nov. 3 State Open, Away at Wickham Park 11:45 a.m.
Saturday, Nov. 11 New England Tournament Away in Belfast ME. Friday, Nov. 3 State Open, Away at Wickham Park 2:45 p.m. 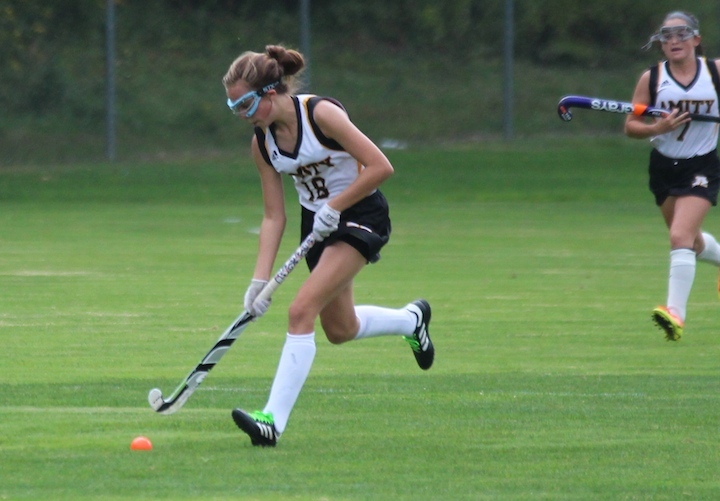 The Amity field hockey team hosted rival school Cheshire for a home conference game on Monday. The girls battled it out in the bone chilling fall air, and the Rams came out on top 4-0. Amity is on the road today for a 3:45 p.m. game at Lauralton Hall, Milford (5-7). Records: Amity 6-6, Cheshire 10-2 (OT)-1. 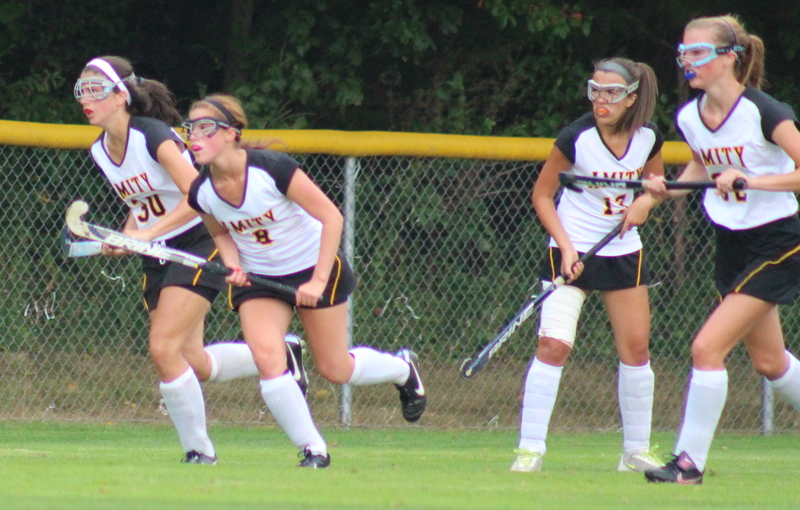 The Amity Varsity Field Hockey team hosted Lyman Hall in Woodbridge on Thursday, Sept. 14. The Lady Spartans shut out the Trojans 3-0. Lyman’s Goalie Maddie Torre had 12 saves. Amity’s noteworthy players: Tess Csejka had two goals, Daria Torrenti had one goal and Goalie Alexa Smith #00 had 9 saves. Goalie Alexa Smith showed great form for Amity. The Lady Spartans hosted the Tigers from Mercy High School in Woodbridge on Friday afternoon. Amity was first to score with Cassie Bishop giving the Lady Spartans a 1-0 first half lead. As the rain began to fall Kendall Castro tied things up for the Tigers with 8:26 left in the second half. With a 1-1 tie, the girls on both teams played hard for a victory, but a blast of thunder in the distance and heavier rainfall forced an early end to the game for safety reasons. Amity’s Goalie Alexa Smith made 10 saved; Mercy’s goaltender made 4 saves. The Lady Spartans Field Hockey Team tied the Sheehan Titans at Wallingford on Monday, Sept. 29. Amity was first to get on the scoreboard in the first half with Alayna Dellatorre, assisted by Casey Bishop getting the ball past goalie Carly Femniac at 20:43; Sheehan’s Emily Budds, assisted by Brittany Vansteenburg scored for the Titans at 8:08. With the score tied at 1-1, both teams were determined to win in the second half. Again, Amity was first to score, this time with Kaitlin Thomas making an unassisted goal at 24:58; Sheehan’s Eileen Hinman, assisted by Emily Budds tied the game at 7:42. Amity Goalie Ashley Powers made 5 saves; Carly Femniak made 6 saves for Sheehan. After a 4-0 shutout loss to Guilford on Sept. 24, the Lady Spartans Field Hockey team went up against Cheshire in an SCC matchup on Friday, Sept. 27 in Woodbridge. The Rams came on strong in the first half with Erica Stauffer scoring at 23:47 with an assist from Olivia Larson and a penalty kick by Emma Farrel. Amity was behind 2-0 coming into the second half. Morgan Howard scored for the Lady Spartans at 14:48, but they were never able to catch up. Farrel scored for the Rams with an assist by Stauffer at 4:48 securing the 3-1 win for Cheshire. Amity’s Goal keeper Lauren Kelly racked up 11 saves for the Spartans; Maddy Levy had 5 saves for the Rams. 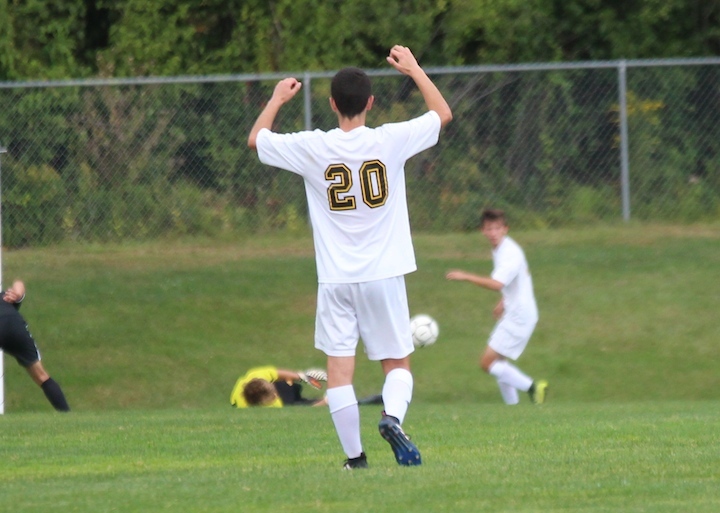 On Monday, Sept. 30, Amity lost to Fairfield Warde 3-0. The Amity Varsity Field Hockey Team played Sacred Heart Academy in Hamden this week. Kira Saunders and Lauren Duhl both scored goals for Amity assisted by Morgan Howard in the SCC interdivision win. Records: Spartans 3-0, Sacred Heart Academy dropped to 1-2.